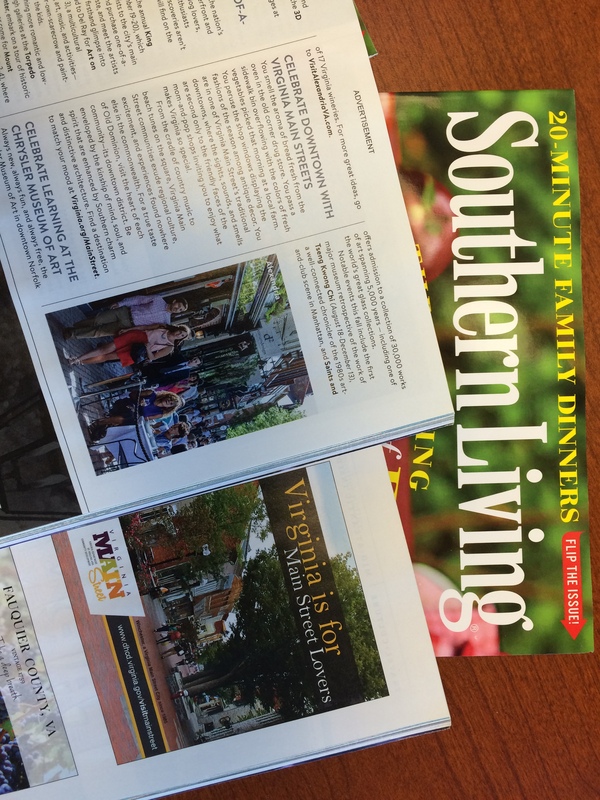 In the September 2015 issue of Southern Living, you will find a spread highlighting travel destinations across the commonwealth, including a special nod to our beloved Virginia Main Street communities. Thank you to our partners at Virginia Tourism Corporation. Web links direct readers to a list of the designated communities and points travelers to the heart of each community, its downtown district. Turn up that smile and cool down the taps, the neighbors are coming! Virginia is for Main Street Lovers!